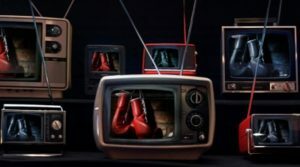 Saturday night on HBO live from Madison Square Garden Theater, former unified light heavyweight champion Sergey Kovalev faced hard hitting Ukrainian Vyacheslav Shabranskyy for the vacant WBO and IBA light heavyweight titles. All eyes were on Kovalev not because of his history as a brutal knockout puncher but his two consecutive losses against Andre Ward. and their effects on Kovalev psychologically. In their first fight Kovalev lost a questionable decision by scores of 114-113 across the board after knocking ward down in round two. When the they faced off in a rematch headed into round eight scores again were close at 66-67 twice and 68-65, while Ward was controlling the ring Kovalev was in the fight until several body shots and a low blow stunned Kovalev who despite not going down was waved off by referee Tony Weeks. Those fights took place in November of 2016 and June of 2017 and have weighed heavily on the mind of Kovalev since. Shortly afterwards reports of Kovalev drinking regularly emerged then an auto accident that totaled his car. While Kovalev himself walked away with nothing more than shaken nerves it forced him to reflect on his recent path. 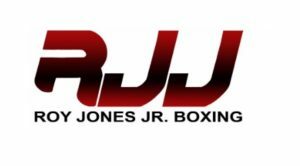 He would not only make some changes personally but professionally and his first professional decision was to part ways with trainer John David Jackson. It was well known Jackson and Kovalev had been rocky terms at best so as a replacement for Jackson Kovalev brought in Abror Tursunpulatov. While many have no idea who Abror Tursunpulatov is, Kovalev became associated with him in Big Bear due to Abror training Bakhram Murtazaliev a middleweight under the promotional banner of Kovalev’s “Krusher Promotions” and he also guided Fazliddin Gaibnazarov to a 2016 Olympic gold medal in Rio making him more then qualified. The opponent of Kovalev Vyacheslav Shabranskyy was expected to provide some answers about Kovalev, his current state of mind and new trainer Abror Tursunpulatov. While not an overly versatile fighter Vyacheslav Shabranskyy is aggressive and possesses power should he go after Kovalev and stun him we would know the answer to that question everyone has been asking “How will Kovalev respond if pressured and placed into a situation of adversity?” Those questions were never answered because Kovalev didn’t allow them to be asked. At the start Kovalev set his own tempo using the jab to set up combinations, while a Shabranskyy right hand pushed Kovalev back in round one he didn’t falter physically or mentally in fact he answered right back with increased aggression. A jab right hand combination shook Shabranskyy then a hard right dropped him for an eight count. 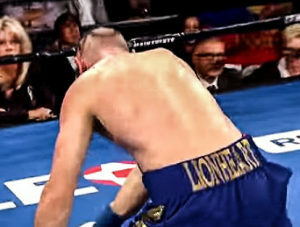 Once up Shabranskyy attempted to retaliate but would go down once more from a Kovalev right hand just before the bell. In round two Kovalev pressured Shabranskyy drove him onto his back foot and placed him on the canvas one more time. He again took an eight count and attempted to stand his ground then just to be met with a flurry of punches that forced referee Harvey Dock to step in and halt the affair at 2:36 of round two. 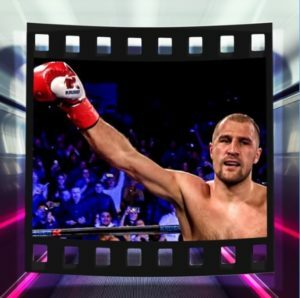 One thing we did learn is Kovalev still maintains his killer instinct between the ropes and in his post fight interview he stated ” I want to face the other champions and see who is the best in the division we need to unify and have only one champion”. With his victory Sergey Kovalev is again a world title holder at 175lbs improving his record to 31-2-1 (27), Shabranskyy now stands at 19-2 (16). 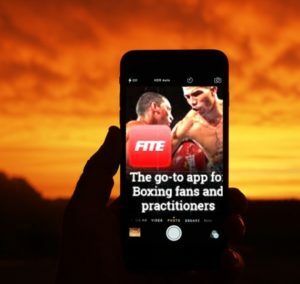 In a co-feature two once beaten light heavyweight’s Sullivan Barrera and Felix Valera faced off for a mandatory position to face current WBA 175lb champion Dmitry Bivol who sat ringside observing the nights action. The contest appeared it might be over quickly when a right hand from Valera dropped Barrera seconds into round one. Once back up after taking an eight count, Barrera regained his senses boxed behind his jab then sent Valera to the canvas with just seconds left in round one. The fight turned ugly after, filled with lulls of action due to Barrera holding in attempts to smother the power of Valera and eventually point deductions. A series of unintentional low blows from Valera being caused by a combination of his not being an accurate puncher and Barrera constantly pushing the head of Valera down led to point deductions in rounds 3, 6 and eight then Barrera was deducted a point for hitting low in round nine. While he was a game opponent, Felix Valera did not have the experience to outbox Barrera or deal with his veteran tactics, The official scores read 98-88 97-90 and 97-89 all in favor of Sullivan Barrera who improves to 21-1 (14), Felix Valera suffering his second career loss now stands at 15-2 (13). In the co-feature former world champions Jason Sosa and Yuriorkis Gamboa met for what was possibly a career saving bout. While their combined record entering the ring was an impressive 47-4-4 (32) they had recently suffered one sided defeats that dropped their stock as marketable fighters. In May of this year Gamboa was dominated by journeyman Robinson Castellanos to such a degree he retired on his stool after round seven. Then in August he struggled with little known 23yr old Mexican upstart Alexis Reyes, during that bout Gamboa was deducted several points for fouls and almost disqualified before winning a majority decision. As for Sosa his career since 2016 was on an upward surge, he stopped formerly undefeated then WBA Super Featherweight title holder Javier Fortuna to become a world title holder then defended that belt against Stephen Smith placing him in a high profile bout against Vasyl Lomachenko for the WBO Featherweight title this past April. In that fight Sosa would be completely dominated and retire on his stool after round nine. That loss set Sosa back to fringe contender status, a one sided loss for either would certainly mean their marketing ability was totally finished. In the first round Gamboa came out looking sharp, using footwork and taking advantage of the slower Sosa as he scored points with his jab. 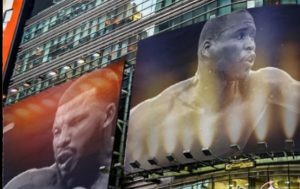 In round two Sosa began to use his superior physical strength landing several hard punches that shook the legs of Gamboa who was cut from a right hook. In round three Gamboa began getting sloppy, lunging with his punches and was dropped from a Sosa right hand. Over the next two rounds Sosa over committed with his hook and Gamboa was able to win the rounds based on movement and his jab. Once the sixth round began you could see Gamboa was fatigued and Sosa getting stronger his pressure was forcing Gamboa to fight off his back foot much of the time hoping to slow the pace while he gained a second wind. Another knockdown in favor of Sosa happened in round seven, Gamboa after being warned at least six times for holding was deducted a point by referee Ron Lipton in round ten and as the final bell rang Gamboa looked happy to have the affair over while Jason Sosa looked ready to go five more rounds. When the bout was over official scores read 95-93, 96-92 in favor of Yuriorkis Gamboa and 94-94 once giving Gamboa a majority decision victory. My unofficial score read 97-91 in favor of Jason Sosa the only rounds I scored in favor of Yuriorkis Gamboa were rounds one, four and five. 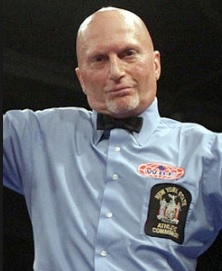 While referee Ron Lipton did his usual top notch job as an official inside the ring judges Don Trella, Robin Taylor and John McKaie managed to get Gamboa one more future payday. 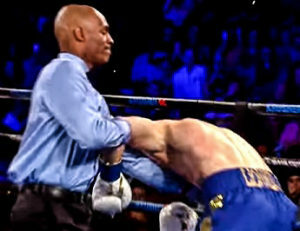 On a side note, many were questioning and criticizing referee Ron Lipton for deducting a point from Gamboa in round ten stating “It was the last round why bother?” Well considering Lipton gave Gamboa several warnings that went ignored, by not taking the point even if there were only seconds left his role as an authority figure between the ropes would have been compromised. His decision to do so even at that juncture of the fight showed professionalism and should be followed by more referees especially ones that continuously favor the house fighter. Light Middleweight- Bakhram Murtazaliev 11-0 (9) def. Carlos Galvan 16-1-1 (15) via TKO 5. Light Middleweight-Frank Galarza 18-2-2 (11) def. Jaime Herrera 15-5-1 (8) via UD 8. Welterweight- Enriko Gogokhia 7-0 (3) def. Jose Antonio Abreu 13-3 (8) via UD 6. Middleweight- LeShawn Rodriquez 8-0 (7) def. Alex Sandro Duarte 13-3-1 (10) via KO 2. Middleweight- Meiirim Nursultanov 5-0 (4) def. Eric Moon 7-1 (6) via TKO 2. Middleweight- Ismael Villarreal 1-0 def. Race Sawyer 0-5 via UD 4.